We decided to go out to the Highwood Pass in Kananaskis Country earlier this week. Later in the morning, we ran across a LARGE BLACK BEAR AND HER CUB. 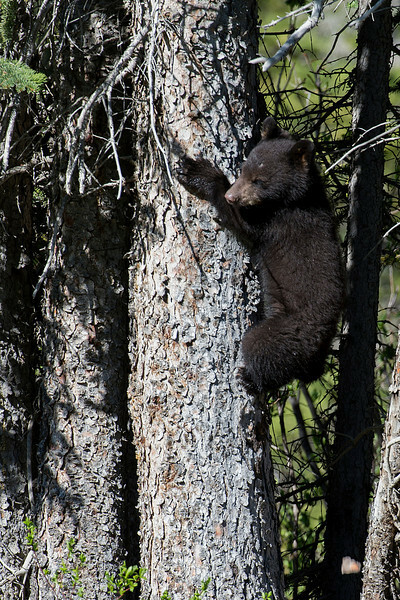 The cub climbed up a tree before we even stopped the car. The female continued to eat until eventually the cub climbed down the tree and after a few more minutes, they both ran across the road and into the forest. I was thankful that they stayed around and put on a show giving me an opportunity to get these photos.